Everyone talks about Content Marketing these days. What is it about really? The aim of this whole exercise is to attract and retain customers, but without overtly selling to them. The way to do this is to produce great content that is relevant both to the business as well as to its customers – content that the customers will find interesting. So what are the types of Content Marketing Material? 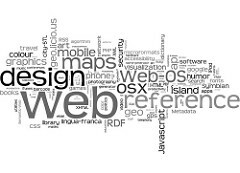 Website pages are usually about the company, the services or the products they offer, where you can avail of it, etc. But apart from this kind of information, there are other webpages – such as blogs and case studies – now these are a totally different ball game. Case Studies will tell you how a company’s products or services helped solve a problem for a customer. It is not about directly telling the audience how their products can help you. It is showing you how they helped someone else – hoping that these prospects are intrigued enough to know more, or better yet, sample the wares. Blogs are another kind of content marketing that works great – interesting topics are covered here. Topics that would be of interest to a prospective customer. These are very popular these days. They are visual representations of statistics and information. The use of graphs or charts along with images makes the information easy to consume. Infographics are very popular on Social Media particularly and they are shared among various audiences. A good infographic involves a lot of planning first. Like any piece of good content, it takes a lot of research – and great copy as well as design. Infographics work great on platforms like Pinterest – where visual content rules. Videos are great ways to present content to audiences. It is said that where a picture paints a thousand words, videos paint over a million! Very effective and engaging, videos attract the most number of visitors to them. But the key is to capture the audience attention within the first ten seconds. Fail, and you have lost them! Podcasts are yet another content marketing method. Some people don’t venture into these areas thinking they are expensive to make and market. But they are well worth the investment – and with falling prices, very affordable. Content Marketing is an important part of the overall inbound marketing efforts of a business. It takes time – takes effort – but it is certainly worth all the investment.